I wrote to Racing Queensland (RQ) CEO Dr. Eliot Forbes when he was CEO of Tasmanian Racing and asked him what he thought of introducing a minimum bet limit in Tasmania. I was surprised but appreciative of his honesty when he said that Tasmanian Racing would not be introducing a minimum bet limit as they were too reliant on corporate bookmaker sponsorship and advertising – and they could not risk that revenue by upsetting corporate bookies. He is now CEO of Racing Queensland and he has carried that attitude with him to the the much larger Queensland Racing market. Worse than this unethical and anti competitive attitude is his, and Racing Queensland’s, complete lack of listening to, and engaging with their best customers; the punter. I recently wrote to Dr. Forbes again asking him what RQ would be doing now that both Racing NSW and Racing Victoria had both introduced minimum bet limits. I posted it on twitter with his and Queensland Racing Minister Grace Grace’s twitter handles attached. It got a lot of traction. You would think that they might take notice of this and engage with me or other punters about the issue – however I was simply told RQ and Dr. Forbes would not debate commercial policy on social media and therefore they would not give me (or any other punter) and further information on the matter. I also wrote Grace Grace and asked her opinion on RQ introducing a minimum bet limit. I have never received a response and I have followed up with her office 3 times requesting a response, but still haven’t got one. Frustrated by their stonewalling I independently contacted an RQ board member (all participant groups except for the punter is represented on the RQ board) and asked to have their ear for 10 minutes to tell them what it’s like to be a punter in today’s environment. They said they were only too happy to talk to me but a few days later cancelled on me because they were told that management had already dealt with punters on the issue. I tried to contact Radio Tab to be able to go on one of their programs and stoke some debate about introducing a minimum bet limit. After many tries and no one interested I gave up on Radio Tab as well. In my experiences advocating for a minimum bet limit in NSW and Victoria I have always been able to have my voice heard, and so have many other punters. Anyone can approach Bernard Saundry or Peter V’Landys and if you’re patient enough they will give you some time to tell them how you feel. It seems that Dr. Forbes couldn’t care less though, and this is even more ironic considering the difficult state RQ finds itself in. 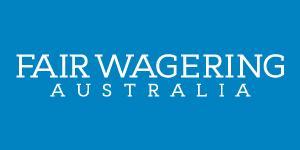 The Fair Wagering movement I started has 2,000 followers on twitter and has attracted 40,000 visitors to its website – significant numbers. As an individual I am very insignificant and but the movement I represent is not and it cannot be ignored. It mostly represents the next generation of punters who RQ are so dependent on if they are going to have any hope of growing and becoming as strong as Racing NSW and Racing Victoria. Nothing repulses me more than the unethical, talentless, predatory bookmaking that took hold here over the last decade. It has yielded somewhat but Dr. Forbes and RQ have endorsed it and told us to invest elsewhere. RQ said in their media release about a minimum bet introduction that it is legislative hurdles that are stopping its introduction. If this is the case I want to see evidence that have consulted with Minister Grace about introducing a minimum bet limit and she has told them that they can’t. But there won’t be any evidence of that because if Dr. Forbes did approach the Queensland Govt. about introducing a min bet limit they would have said we’ll legislate anything you think is the right move, just like what happened in NSW and Victoria. I think we should all keep campaigning for a minimum bet limit in Queensland for another year because Queensland racing is too exciting and means too much to all of us to be shut out of just yet. But if in a year RQ still won’t act ethically instead of financially and give the punter a fair go in the market place, we should all give up on Queensland racing and bet on racing in NSW and Victoria – at least there we are wanted and respected.